Everyday essentials for modern, free-spirited people everywhere. Your everyday essentials, made lighter than air. 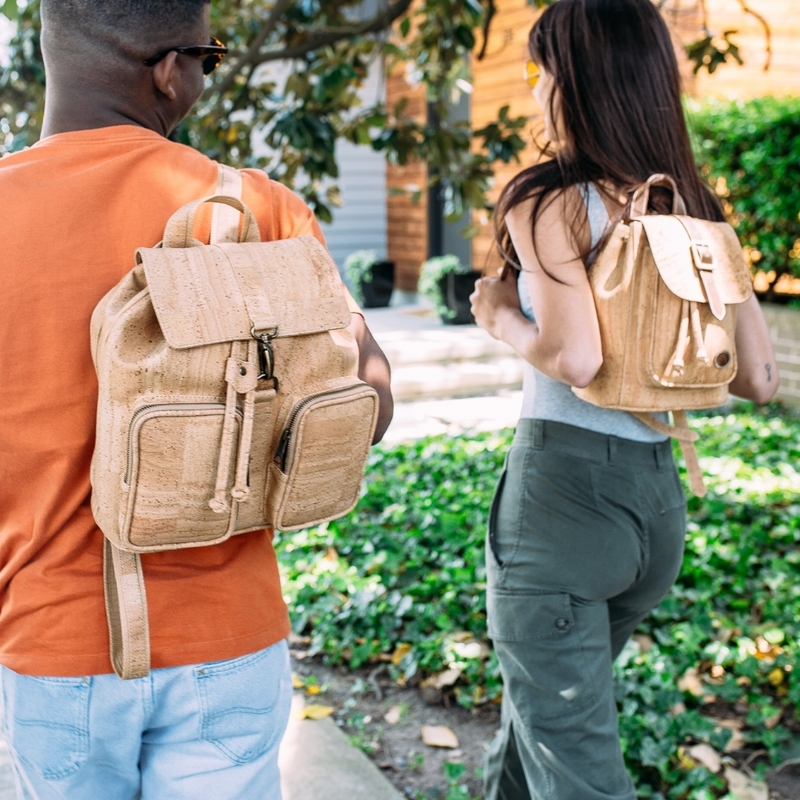 Sustainable luxury goods made from natural + cruelty-free cork. Conserving and supporting the Earth and all its species. Each and every year. Made from the Earth. For the Earth. Most sustainable goods are simply less bad for the Earth. Less bad isn't good enough – the Earth deserves better. So we've got to do better. Which is why we're finding ways to make doing better by the Earth sustainable and easy. How? Well, by creating cork-based luxury goods for considerate, discerning humans who want to make a sustainable impact in their communities and on this planet.